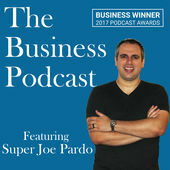 Diane Gardner is guest starred on The Business Podcast with show host Super Joe Pardo on How to Stop Overpaying Your Taxes! Her tax coaching sessions have resulted in a combined savings of over $700,000 to-date – hard-earned profits small business owners would have given to the government by overpaying taxes. 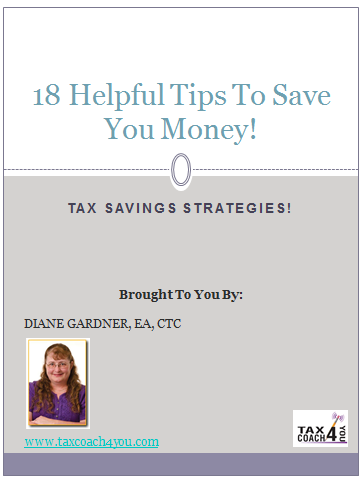 Leaving no deduction or credit unexamined, Diane ensures professionals like you pay the least amount of taxes allowed by law. As a licensed Enrolled Agent, Diane prepares returns and helps taxpayers nationwide maximize profits and tax savings. She is a Certified Profit First Professional, an Accredited Tax Preparer and has elite certification as a Certified Tax Coach. Diane is the co-author of the best-selling books, Stand Apart and Why Didn’t My CPA Tell Me That? She has also authored six other books including her newest, Stop Overpaying Your Taxes! 11 Ways Entrepreneurs Overpay and How to Stop it Now! She created the nationwide Get Off the Wheel Practice Management Solutions for Accountants and leads the Business Breakthrough Mastermind Group in her hometown of Rathdrum, Idaho.